Finally in the media we’re starting to see some truth about the PETA, the Humane Society of the United States (HSUS) and other extremists organizations who promote their "Animal Rights" agenda. According to the data that PETA has released their only shelter has a kill rate of almost 90% and less than 1% of the money raised by the HSUS goes to shelters to help animals. According to news reports, even the SPCA hasn’t been totally upfront with their contributors. If you do a search on the Internet you’ll find many sites that agree that the these groups have grossly mislead the public about their rescue efforts and where their money goes. Please investigate this issue yourself. I’m sure, like me, you’ve seen the sad expressions on the shelter animals in the HSUS television ads. They are designed to get the most money out of the viewers as possible. According to recent national public polling, 71 percent of Americans believe the Humane Society of the United States (HSUS) is an “umbrella group” for pet shelters across America. Sixty-eight percent believe HSUS spends most of its money funding local pet shelters. Neither is true! HSUS is not affiliated with local humane societies and doesn’t run any pet shelters. It donates less than 1 percent of the money it collects to local shelters. Shelter and rescue groups have spoken out: the vast majority polled state that HSUS’s constant fundraising appeals make it harder for them to sustain themselves. According to HSUS’s 2010 tax return, it spent close to $50 million just on fundraising-related costs. Local humane societies don’t have the resources to fight this massive factory fundraising machine. In short, HSUS’s appeals on television, in print, and through telemarketing are grossly misleading as to how donor money will be used and are counterproductive. The Center for Consumer Freedom (CCF) released its yearly report on People for the Ethical Treatment of Animals’ (PETA) shameful animal care record at its so-called pet shelter in its Norfolk, VA headquarters. Records show PETA killed a staggering 89.4 percent of the adoptable pets in its care during 2012. Despite years of public outrage over its euthanasia program, the notorious animal rights group has continued killing adoptable dogs and cats at an average of over 30 pets per week. According to records from the Virginia Department of Agriculture and Consumer Services, PETA killed 1,647 cats and dogs last year while placing just 19 in adoptive homes. Since 1998, a total of 29,398 pets have died at the hands of PETA workers. For an example of this check out PETA members take Virginia family's pet Chihuahua, kill it, then bring fruit basket, dad says. The newspaper website even includes evidence of the PETA worker taking the dog from the family's security camera. Even the SPCA International isn’t all it seems to be. According to a CNN report, while the charity raised $14 million in 2010, only about $60,000 went to local shelters and only about 3% of the $14 million went to a questionable program called “Baghdad Pups,” designed to safely transport home dogs that are used in service by the military. According to CNN, SPCA’s own communications director admits that only 26 out of almost 500 animals transported were actually service animals, such as bomb-sniffing dogs. Apparently, these 26 dogs were also not affiliated with the military, but were in fact owned by a contractor building roads in Iraq and Afghanistan. The contractor insists that the dogs had been offered homes, SPCA insists otherwise. Oh, the remainder of these were just picked up off the streets of Bagdad and brought to the United States to sell. A representative of the program has previously been investigated by the State of California for questionable spending at another nonprofit specializing in homeless dogs. There are even reports that some some rescue groups are actually fronts for puppy mills or the dogs they sell aren’t even from the United States. While this sounds unbelievable it is true. These organizations actually breed the puppies they sell through websites that appear to be sites with dogs that need to be rescued (see Pet rescue fraud: More common than you may think). Others are trafficking in dogs from other countries (see Shelters Trafficking in Dogs). The transport business spreads disease from county to county, state to state. There are documented reports of thousands of diseased dogs imported from other countries! Many more examples than those mentioned in these links. Now, If you’re as discouraged and upset at all this as I am don’t despair. While rescuing animals is necessary and the need is greater due in part to our present economy we must find a way to separate the good from the questionable. There are organizations that are helping rescue or re-home dogs right here in California. Some are even dedicated to basset hounds. And, they need your support. All the basset hound rescue groups take in unwanted basset hounds and mixes. Many are fostered by volunteers until they find their “forever” homes. Others may be housed by the rescue group until they can find either a foster or forever home. A lot of the dogs need some kind of rehabilitation before they can either be fostered or sent to a new home. Many of these dogs require veterinary care, and some of them require extensive help from specialists. All this costs money and requires many hours of volunteer help. Any support that you can provide for these rescue groups goes to the dogs. 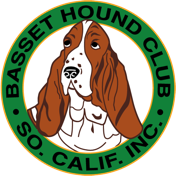 If you are interested in helping them or adopting a basset hound please contact them through these links: Basset Rescue Network, Inc. (BaRNi) - Basset Hound Rescue of Southern California (BHRSC) - San Diego Basset Hound Rescue (SDBHR). That way they will know that you found their information here and are already a basset hound lover. Together we can make a difference. Webmaster's Note: The article below is very informative. It, however, is one person's opinion and may not reflect or express the belief or policy of the BHCSC, Inc. The article does give the reader a good idea of what is going on and contains links to support the points made in the article. As stated in the article we have some wonderful volunteer organizations in our area who rescue basset hounds that should be supported by all of us.